For Gianni, the days of eating junk food and playing video games all day are over. And now 35 pounds lighter, he doesn't plan on giving up control for the controller. I've always loved working out and going to the gym, but for some reason I let myself go during my junior and senior year. I quit going to the gym, ate horribly (Chinese food almost every day), and did nothing but play video games and sleep. This was an everyday routine for me with one of my best friends, so I thought it would be okay. I never thought about the fact that he played soccer vigorously every day to burn off what he ate. I didn't realize I was gaining so much fat until one day I woke up and knew I had to change my unhealthy habits. I knew going into college, I needed to lose some weight. I wanted a fresh start. 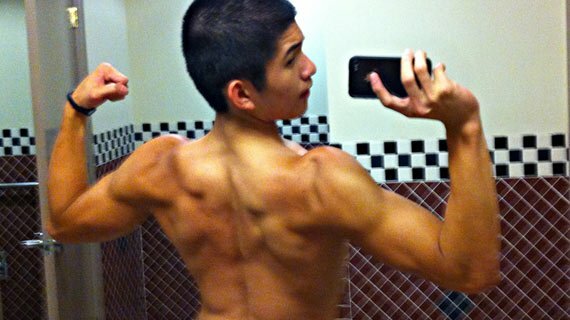 I've always wanted to be ripped, but never got there and I wanted to prove to myself and to others that I could do it. He found everything he needed at bodybuilding.com, motivation included! 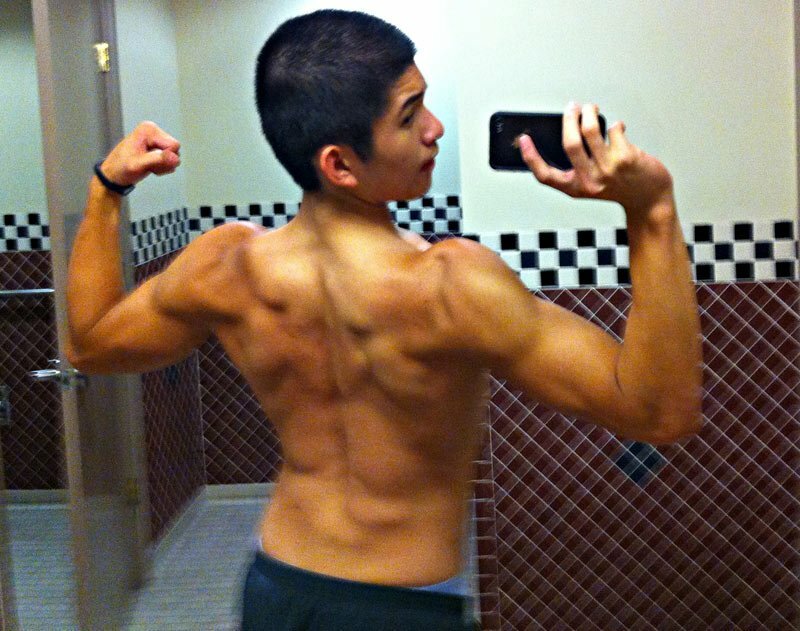 I researched a bunch of stuff on the Bodybuilding.com SuperSite and the forums about losing fat. The articles and the posts on the forums were helpful, they provided me with healthy recipes and also how to lose body fat while keeping muscle mass. I calculated my calories as strictly as possible, I made sure I was putting in natural foods as well as going hard in the gym. I found out that for myself no matter how many times I went to the gym, my body would not make the change I wanted it to make without a strict diet. I also had a lot of help from my close friends Corey and Pac who gave me a lot of advice on trimming body fat and gaining lean muscle respectively. I wouldn't be where I am now if it weren't for them. I have to thank them and my other workout partners Marco and Myko who pushed me in the gym. Friends and workout partners provide support/advice that is sometimes hard to take, but we all need that push. Supplements definitely are not needed, but they sure help. I always ordered from Bodybuilding.com just because its products would get to my door step within a day or two. For me, taking supplements wasn't just a physical thing, it was also mental. Whenever I'm on a supplement I know not to slack off in or out of the gym, so I made sure to stay on point with my diet and workouts as long as I was taking something like OxyElite Pro. I am a huge eater, so OxyElite definitely helped me out by suppressing my appetite. I went on a really strict diet. Throughout my cut, I learned that nutrition is a huge percentage of your gains. I took in about 1800-2000 calories a day and I stuck to that by logging what I ate. It was tough whenever my friends ordered pizza or ate oreos, but I knew I would regret it the next day if I gave in. Once you are a good one or two weeks into your diet, you will not want to quit. I did realize I can eat healthy and still be satisfied. I'm still not tired of cocoa roasted almonds and turkey burgers with pepperjack cheese. As far as my cheat day goes, I decided I would either have one HORRIBLE cheat meal per week (like eating a whole pizza then cookies and ice cream) or one average cheat day per week (nothing too crazy, just something I wouldn't eat normally. For example: chocolate chip waffles for breakfast, Chick-Fil-A for lunch, hibachi steak for dinner). I believe cheat meals are important in shocking your body and also keeping you sane throughout your diet. I did many types of training. I trained for mass but when I felt like changing up my workout or just when it was my cheat day, I did high-intensity training. The only types of cardio I did were jump roping and playing sports. I hate running, so jump roping or playing sports were great ways to get in my cardio. I worked out 5-6 times per week, making sure I had at least one day of rest. Do not give up on your goals no matter how hard it is to complete them. It will all be worth it in once you get there. 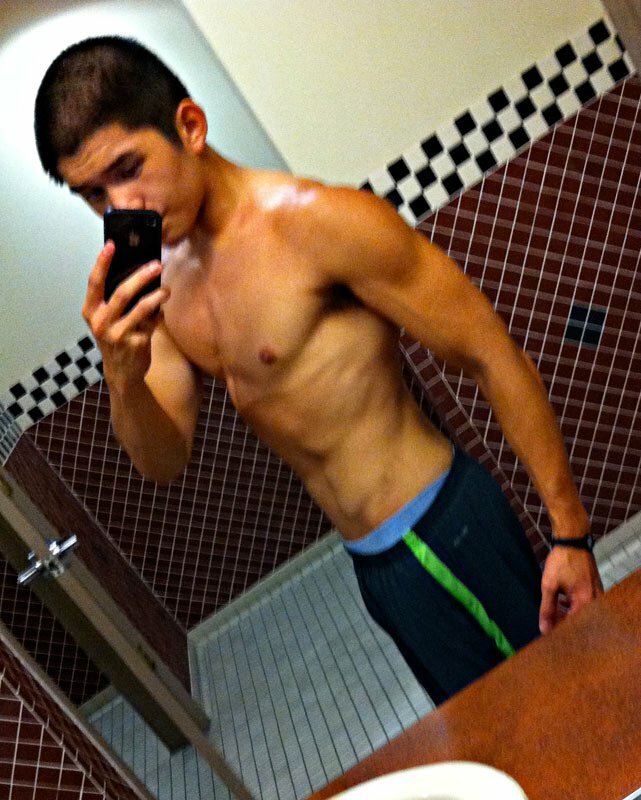 One thing that kept me going was results. Every week I would look forward to changing my body or hitting a new max in the gym. Once you see results, you will be addicted to getting more results. The feedback I have gotten has been awesome, and that alone will keep you going. If you hit a plateau do not worry. Change up what you're doing and you will continue to change. You not only have to keep up with hard physical work, I believe if you truly want to change you must have control of your mental as well. Just set your mind to it and it can be done!